Water levels have fallen dramatically at Lake Mead in recent years as the region has endured a nearly two-decade-long drought. Arizona is one step closer to finalizing the drought contingency plan, but lawmakers have less than 36 hours to do so. The plan is a seven-state agreement, including Mexico, that aims to mitigate the impacts of a water shortage and protect water sources like the Colorado River and Lake Mead. After a marathon five-hour meeting Tuesday in the House Committee on Water and Resources, two major pieces of legislation, House Joint Resolution 2002 and House Bill 2545, needed to enact the plan were approved. HJR 2002 allows the director of the Arizona Department of Water Resources, Tom Buschatzke, to enter into agreements with other states as part of the drought contingency plan. HB 2545 includes language from five other bills that include provisions such as helping farmers in Pinal county build wells and lessening restrictions on groundwater pumping. The majority of those who came to speak on Tuesday were farmers or farming advocates from Pinal County. Many of the speakers who came before the Water and Resources Committee said they supported the legislation, but would like to see a backstop on federal dollars expected to help as well. Shedd added that the volatility of federal funds could impact the DCP in the long run if Pinal farmers can’t start working on new wells right away, as the plan calls for a majority of the area’s water to come from groundwater by 2023. The committee did not add any language or amendments in response to statements by Shedd and others, but two committee members who represent the region stated their hope that a backstop could be added during a discussion on the House floor. Rep. David Cook, R-Globe, and Mark Finchem, R-Tucson, voted yes but said they’d still like to see a backstop measure in place as well as seeing drafts of letters that will be sent by the water director to other states to finalize the deals negotiated there. 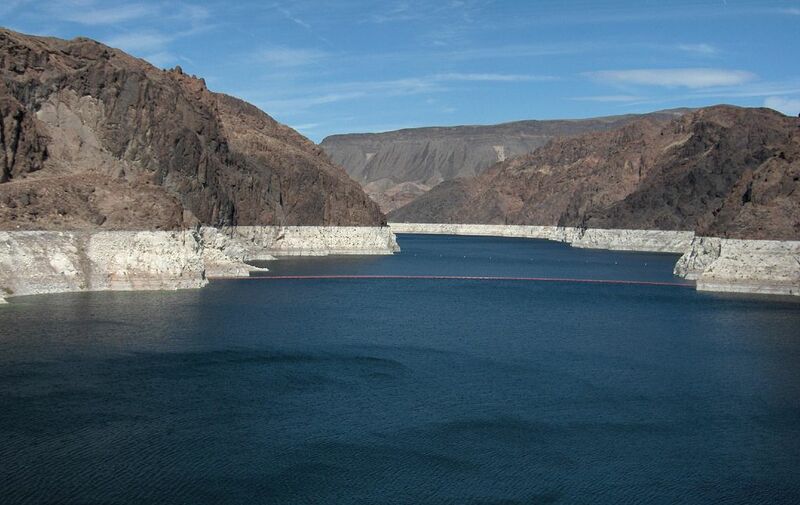 Those deals include 500,000 acre feet of water from Nevada and California to be placed into Lake Mead, as well as agreements between states that use Lake Mead to implement mandatory reductions based on the level of water in the lake. Cook and Finchem both expressed their desire for Buschatzke to get the legislature copies of the letters prior to them being sent. Those letters must be sent on Thursday in order to avoid the federal deadline that has been imposed on the DCP. The majority of those who spoke before the committee spoke in favor of the measures, but many added that, despite the deal, there will be dire consequences. Many farmers spoke of planning to fallow their fields or their concerns over waiting for federal funding. Many of the farmers had three major requests of lawmakers. First, they want the legislature to pass the DCP including the language that helps create well infrastructure. Second, they want the state to set aside $20 million for well infrastructure development if the federal government is unable to disperse the $20 million it has promised in a timely manner. Lastly, they want the legislature to ensure the passage of the language included in HB 2545 that allows for recharge and credits of effluent water, also known as reclaimed water, which would enable the cities of Phoenix and Tucson to donate effluent water to Pinal farmers. The only opposition came from Sandy Bahr, director of the Sierra Club Grand Canyon Chapter. Bahr said the bills did not do enough to ensure proper conservation and lamented the lack of inclusion of the term climate change or any discussion of the impacts of climate change. Bahr also voiced concern about an overreliance in the future on groundwater and how that could create new fissures in Southern Arizona, as well as other possible ecological impacts. Fissures are essentially cracks in the earth that open up due to excess groundwater being pumped out, creating an area where the ground gives way and breaks. One in the Tater Hills region of Pinal County measures two miles long. The bills passed the committee on a unanimous vote. They are expected to be considered by the entire House on Thursday.